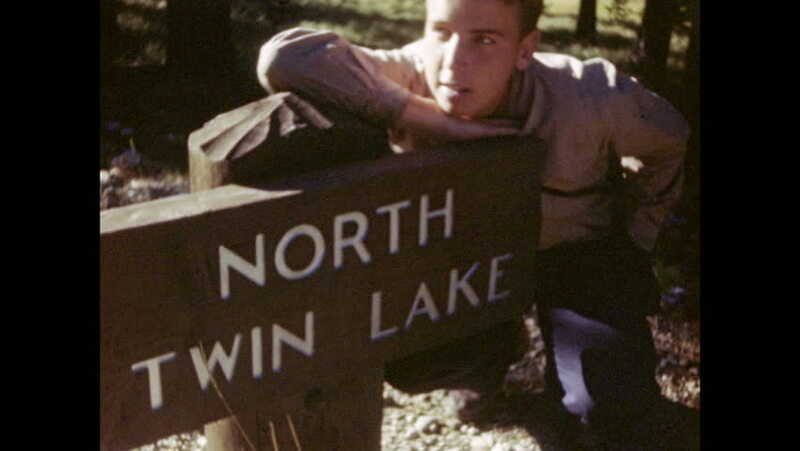 1940s: Young man leans on sign that reads "NORTH TWIN LAKE." Lake. Tree. hd00:27LOS ANGELES - AUGUST 11, 2016: tourist taking pictures on Walk of Fame with Hollywood sign in background in LA. California has many tourism attractions including Hollywood Boulevard. hd00:301960s: People hold signs, march and protest inside building. Fire burns. People sit and stand around fire, sing and chant.